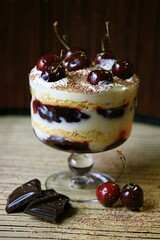 Yesterday, I made a trifle recipe for the cookbook. I used these adorable miniature trifle glasses (ahem, Target), and I was really pleased with the results. Then I tried to eat one. Now I certainly have a sweet tooth, but I got about half-way through that this puppy before I had to give up. I wasn’t sure what to do about the proportion sizes for the cookbook recipe. Should I just make regular, large trifles? I’m too big of a fan of individual desserts to go that route. Then I started wondering who even owns trifle dishes, let alone miniature ones. What could I serve them in instead? What do people generally already own? Since I was bloated from the “miniature” trifle, I started to think small. Really small. Shotglass small. Ahhh. There. Much better! But why stop at shot glasses? 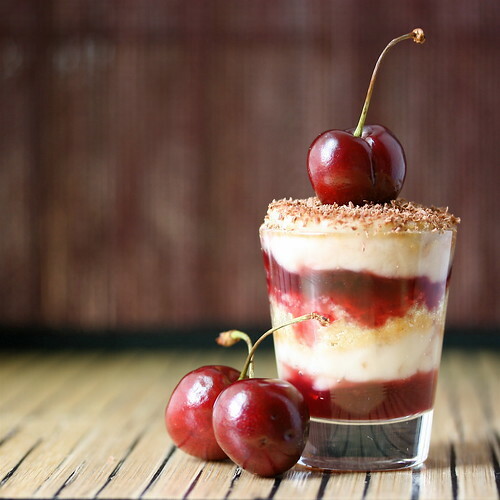 Why not make an assortment of cocktail glass trifles? Not only does it look fun to have a bunch of mismatched glasses full of dessert, but this way your guests (should you be making this for a cocktail party, which I highly recommend!) can choose the size dessert they’re in the mood for. Just want a taste? 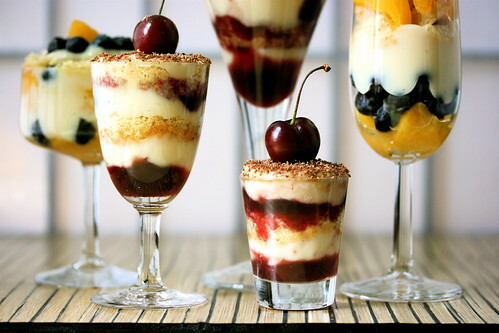 Have a trifle shot! In for something more substantial? 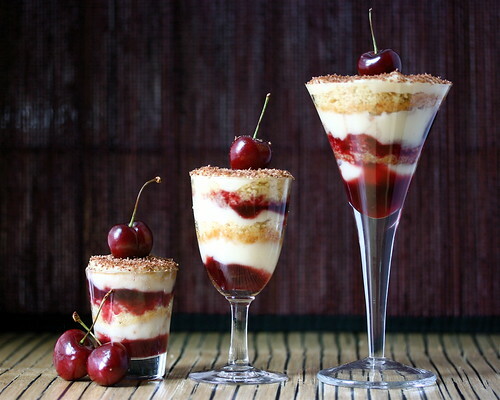 How about a trifle martini? That idea is so cute and easy! Sweet Street Desserts just introduced a dessert that would wonderful with this idea! Their Pipeables are dessert mousses in a piping bag. They are absolutely delicious and you can add sauces or toppings to make them look extra luscious!!! You can even purchase them on their website! you are a brilliant its a beautiful idea i loved. it loooks soooo great i love the idea especially the cherry on top cause im a big cherry fan. whoever made that i wanna know the recipe.